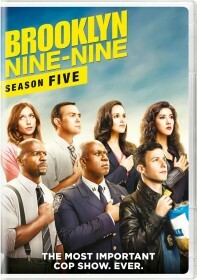 FOX has issued the press release for the October 18 episode of Brooklyn Nine-Nine, "The Oolong Slayer". When investigating a serial killer, Jake enlists Holt’s help in an attempt to solve the case off the radar. At the precinct, Rosa and Amy are forced to deal with demands from an old adversary and Terry discovers a new obsession in the all-new “The Oolong Slayer” episode of BROOKLYN NINE-NINE airing Sunday, Oct. 18 (8:30-9:00 PM ET/PT) on FOX.